The investigation into whether Finance Minister Bill Morneau violated the Conflict of Interest Act will proceed, says Canada's new ethics commissioner, Mario Dion. 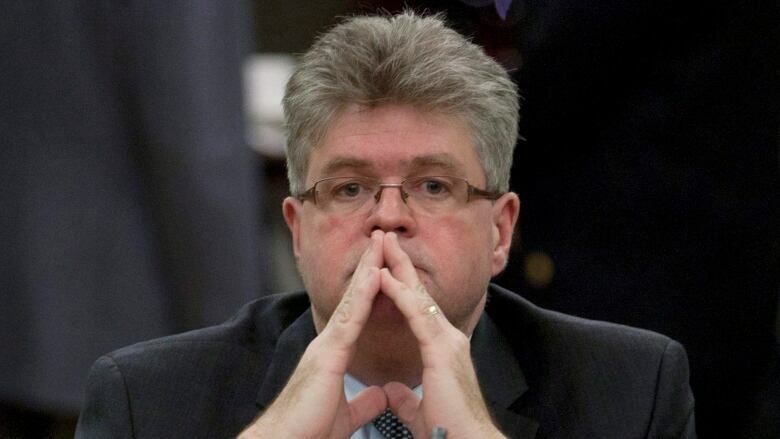 Canada's new Ethics Commissioner Mario Dion says he has informed Finance Minister Bill Morneau that the investigation into whether he broke the Conflict of Interest Act will proceed. Former ethics commissioner Mary Dawson began investigating Morneau's role in the introduction of Bill C-27 while he still owned shares in his family's pension company, but retired from her position before completing the inquiry. "We informed Mr. Morneau's representative this morning that we will continue the investigation launched by Ms. Dawson late in November and we will also pursue every other investigation that Ms. Dawson had initiated and was yet to be completed," Dion told CBC News Network's Power & Politics. Dion said he expects the investigation to be completed "by the end of spring." Dawson initiated the examination at the request of Conservative finance critic Pierre Poilievre and NDP MP Nathan Cullen. In an Oct. 16 letter, Cullen argued that, because Morneau held about one million shares in Morneau Shepell, his family's company, when he sponsored the bill, he could make millions if it passed. Poilievre asked Dawson to investigate whether Morneau violated both the Conflict of Interest Act (which applies to cabinet ministers) and the Conflict of Interest Code for Members of the House of Commons (which applies to all MPs). But in her letter to Poilievre, Dawson said she would only examine Morneau's actions under the former. The ethics watchdog also told Poilievre that, though he did not specify what specific area of the act may have been violated, she decided she had enough information to launch her own examination. In one of her final moves before stepping down, Dawson ruled that Morneau and a family member didn't benefit from insider information when they sold Morneau Shepell shares in the fall of 2015. In a letter dated Jan. 5 and addressed to Morneau, Dawson said the income tax increase for Canadians earning more than $200,000 was publicly announced on Nov. 4 and Morneau sold his shares on Nov. 30. The legislation was tabled on Dec. 7. "The act prohibits the use of insider information obtained in his or her position by a public office holder and that is not available to the public, which, in light of the above [reasons] was not the case in this instance," she said.